If you were ever on a quest to find a place where you can trade cryptocurrencies, you probably came across the name of Bitfinex exchange a time or two. It’s a fairly famous exchange. However, given the recent rise of this kind of trading, more and more people want to learn as much as possible about this exciting new industry. If you’re one of them or you simply want to explore the options you get on that website, you’re at the right place. 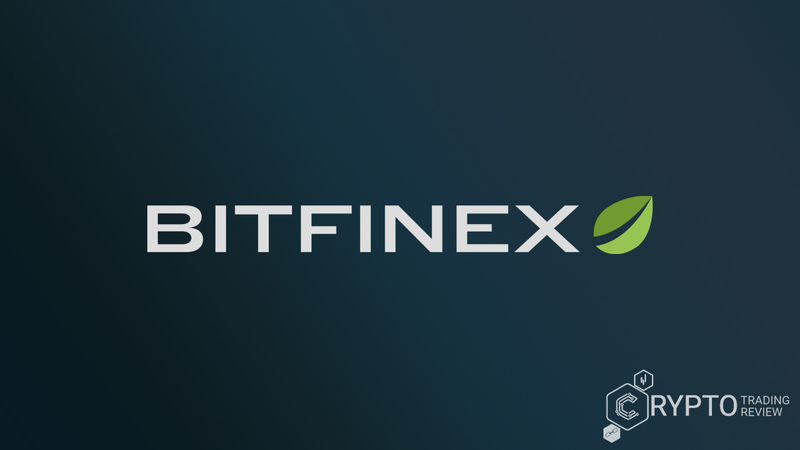 The following Bitfinex review will tell you absolutely everything you need to know about this exchange and analyse all of its most important features. With the help of our team of traders, we will discover all of its secrets and help you decide whether or not you should trade here. We have a lot of work ahead of us, so let’s get going. 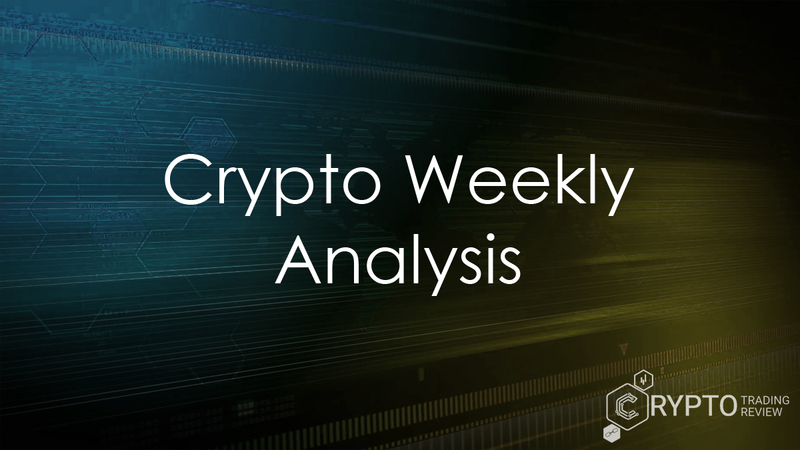 We will start our analysis with something pretty basic – Bitfinex login. The reason why we do that is the fact that without completing this process you cannot access some information on the website (like things concerning depositing and withdrawing), so you may want to create an account and log into it first. It costs nothing, there are no Bitfinex fees that will pop up later down the road and it’s all really simple. After agreeing to a few standard conditions (that this is a professional platform, that there is a minimum account equity etc), all you will need to do is create your username and password and choose the time zone you’re in. After that, it’s only a matter of confirming your e-mail address by clicking the link in the e-mail the exchange sends you, and that’s it. With that, you will be able to execute your Bitfinex login as you please, meaning you will get access to the banking information. However, US customers are not accepted at the moment (more on that later) and do keep in mind that opening new accounts on this website means that you have to meet certain conditions. More on that in the next part of our Bitfinex review. At the end of 2017, the number of cryptocurrency traders increased almost exponentially. This put such a significant strain on exchanges and the way they do business that some of them were forced to take drastic actions in order to slow down the influx of new clients. The same goes for this exchange too, and Bitfinex referral codes were one of the main reasons for this, although the whole system has also gone through a drastic overhaul. The old Bitfinex referral program was cancelled in its entirety, and new traders were unable to join the exchange for a while altogether. Finally, in January 2018, the company announced that it will be introducing a threshold new clients have to surpass if they want to be allowed to trade here. They will have to get their equity to 10,000 USD in order to fully verify their account, i.e. to be able to trade. After that equity is reached, you don’t have to worry about it dropping below that – there will be no penalties for that. As a matter of fact, Bitfinex Exchange has openly stated that it does not see itself as a place where new traders should learn and has even invited them to go and check out other options. However, if you opened your account here before January 1, these changes do not apply to you. Unfortunately, old Bitfinex referral program has been discontinued, and currently there is nothing like it available. However, there were some slight indication of the referral program being brought back in some other form in the future, so keep your eyes open. But don’t think for a second that all of this means that you have to make a deposit right away, as soon as you create your account. Heavens, no. You are free to browse and can check things out without any risk first. Find out how in the next paragraph. Yes, there is a Bitfinex demo here, and accessing it could not be any simpler. As soon as you get to the website, you will see a button saying “View Demo” on the screen. Click it and that’s it, you’re there. It really can’t get any simpler. Once you get to your Bitfinex demo, you will get some tooltips to help you find your way around, which is a very nice touch. Shows that the company cares. The thing is, this is not a demo ACCOUNT, just an actual demonstration of how things work around here. After some helpful instructions, you will be pointed to Bitfinex login (or account creation if you don’t have a trading account) to get started for real. But don’t think this is not much. Quite the contrary, we think Bitfinex demo is short and sweet, and it will certainly help people a lot to get the hang of things here, especially if you’re a new trader. You’ll never refuse a helping hand, right? But this is just a small sample of how dedicated this exchange is to supporting you in any situation. We will get to that later in our Bitfinex review, but now we must go on because we have many more things to cover. Probably the main reason why this place is so popular among traders is the sheer amount of supported coins you can choose from. Starting with Bitcoin, Litecoin, Ethereum and Ripple all the way to things like Bitcoin Gold, Bitcoin Cash, Eidoo, Ethereum Classic, SpankChain (yes, this is a real name of a coin) and many more, you have plenty of viable investment options. Detailed statistics is available for each pair, with information such as trading volume, margin funding and historical volatility readily available. What is also interesting to note is the amount of trading features Bitfinex Exchange offers. We already mentioned margins, but there are also many types of orders you can use when opening your trades. Eight more or less standard orders (OCO, Fill or Kill, Post Only etc) and two algorithmic orders make sure you are prepared for every possible outcome on the market. Finally, you also have an exceptionally high degree of freedom when setting up your user interface so that you always have everything under your control. These are the main trading features here, but one of them deserves a paragraph of its own in this Bitfinex review. Which one? The answer is coming up, so keep reading. Yes, margin trading. Thanks to Bitfinex peer to peer funding platform, you can enter trades with a certain amount of leverage. To be more precise, Bitfinex leverage goes up to 3.3 times. But who provides this leverage? Well, that’s the beauty of the whole thing and the part where trading here becomes exceptionally interesting. You see, Bitfinex peer-to-peer platform connects traders who are looking to obtain leverage (also known as Financing Recipients) with those who are willing to finance that (Financial Providers). What is so special about this system is the fact that the recipients pay off a certain interest to the providers, an amount which is negotiated directly between the two sides, so all parties involved can profit from this arrangement. Bitfinex in this case is not a part of the arrangement directly, but it does oversee everything and makes sure every deal goes through smoothly. If you’re willing to invest in the cryptocurrency market in a slightly different way, this may be a great opportunity for you. Interests can be acquired in EUR and USD, as well as in numerous virtual currencies. There is also something called the Flash Return Rate (FRR), which can help you if you don’t want to waste any time negotiating the numbers. This way, you simply present a deal through a sort of a template and enter an agreement even quicker. Pretty nifty, huh? There are plenty more great ideas like this to cover in this Bitfinex review, so let’s keep moving. You will want to know everything about what’s coming next. How big are Bitfinex fees? When you’re trading with the help of a broker or an exchange, you can always expect some extra costs. That’s the way things work in this industry – service providers have to make a living, too. Sometimes these costs are higher, sometimes they are lower, but they are always there. Bitfinex fees are no exception, so let’s take a look at how they work and how big they actually are. Let’s first take a look at the deposit. Whenever you deposit an equivalent of 1000 USD or more, it will be added to your balance without any additional charges. However, if you deposit less than that, you can expect a so called Small Deposit Bitfinex Fee to be applied. Not necessarily in every case, though, because TetherUSD, Neo and Bitcoin Gold deposits are free even in these instances. A Bitfinex fee will also appear when you’re withdrawing, of course, but Neo and Bitcoin Gold are once again free here. 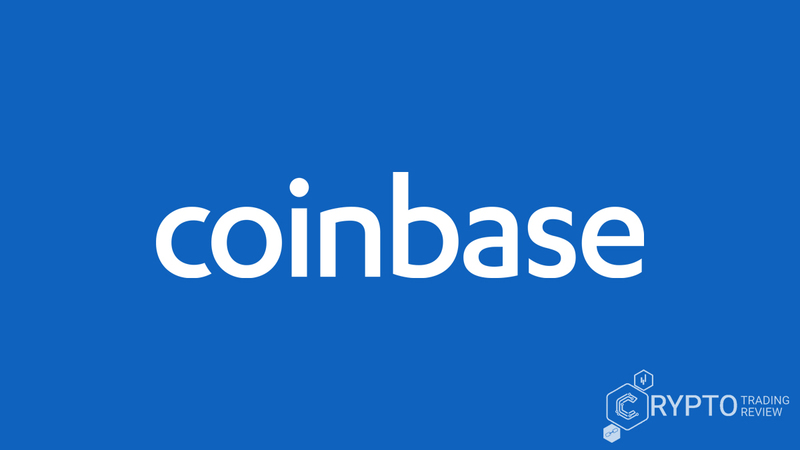 You can find a full list for these processes on the website very easily, but just to give you an example what to expect, we will say that Bitfinex Bitcoin transfers will cost you 0.0004 BTC. There are other things you need to be careful of when trading here. Fees collected by Financial Providers in the processes we discussed in the previous paragraph can go all the way up to 18%. Additionally, if you borrow on the peer to peer platform and return it without using it, you will still have to pay something. This amount will be calculated in relation to the interest involved in the deal and this Bitfinex fee can be equal to up to one day’s worth of interest. The final group of Bitfinex fees are the so-called maker and taker fees. They apply to those orders that go against the exchange’s order book and range to 0.2% tops. So, not a very big amount, but you still may want to check things out before you decide to add or remove liquidity to the order book (for those of you who don’t know, Makers add liquidity, Takers take it away). Don’t let this intimidate you, however, everything is very logical and easy to grasp, so you’ll get the hang of things here very quickly. As you can see from our Bitfinex review so far, there are plenty of trading features on this exchange, but if you are to enjoy them, there must be a reliable security system in place, too. Also, you need to be sure no Bitfinex scam can happen. Obviously, we cannot skip an issue as important as this one. First of all, you’ll be happy to know that most of the (virtual) funds are stored kept on offline wallets. Exactly 99.5% of them, to be precise. This protects the exchange from any software-related issues. On top of that, multiple people have to take certain steps in order for the cold-stored funds to become available to the person who requests them, so you can rest assured things are quite safe. A Bitfinex scam is extremely difficult to pull off. But that’s just the beginning of the security measures taken on this website. You can create API keys and encrypt your e-mails, plus you can use 2FA and universal 2nd factor to protect your account even more thoroughly. But even that is not all – how about some IP address detection systems for good measure to make sure no other computer is trying to access your trading account? Or maybe you’d like to enjoy withdrawals that cannot be affected by any malware? There is no doubt that Bitfinex security is quite formidable here, but we have more things to talk about related to that. Continue on to see what else we have to say. So, the whole thing is very secure now, but on one occasion the security proved to be lacking. We are talking, of course, about the infamous Bitfinex hack which happened on August 2, 2016. There’s no going around that fact, an attack on the exchange really did happen and it caused some serious damage. In total, about 120,000 bitcoins were stolen, and consequences of this act were felt quite clearly on the global cryptocurrency market. Why are we mentioning this? Well, an attack as powerful as this Bitfinex hack would probably bring any other exchange to its knees and cause it to shut down for good. Not this one, though. Note that it has been almost two years since this happened, and at the end of the last year the exchange was so popular that it literally could not handle all traders who wanted to join. This says a lot. It’s pretty obvious from the previous part of this article that the people behind this company doubled down on security. The result is a complex system of measures to which no reasonable person can find any objections. After the Bitfinex hack, everything was taken to a whole new level and there were no other incidents of this kind since. Therefore, we can say that the exchange has learned a lot and functions today more safely than ever before. And people have noticed that. Keep that in mind when making your decision – these guys have been here for quite a while, have gone through a lot and have an enormous amount of experience. Bitfinex review continues. Unlike some other exchanges, this one has its own official product dedicated to mobile devices. Bitfinex app is available for both Android and iOS devices, so it’s quite accessible to the trading community. Especially when you consider that it’s also completely free. What does it bring to the table? Well, quite a lot, actually. For example, it has a system of notifications which will tell you everything you need to know about prices and trades that are being executed. Furthermore, you can easily manage your wallets this way and set everything up as you wish thanks to the numerous customization options. We don’t have to mention that you can actually trade effortlessly, but what we will emphasize is the fact that Bitfinex app also allows you to enter the peer to peer platform we talked about earlier and start margin trading, too. That’s quite a significant advantage over other similar pieces of software. The design is quite simple, yet very functional, and we like it a lot. Judging from the reviews you can find in the app stores, people tend to agree with us not just about the design, but about the quality of this app in general. With Bitfinex app, you can be sure you will have everything you need to open a lucrative trade. Ready for some more information? Because this Bitfinex review is far from over. We have a special paragraph for our readers from the United States coming up now, so y’all better read these next few lines carefully because we want to explain the status of Bitfinex US customers. Since November 9, 2017, nobody from the US is allowed to do any kind of business on this exchange. This is due to much more strict regulation that is applied nowadays in that country, which is pretty much what all other kinds of trading (binary options, forex etc) had to go through, too. Prior to that, Bitfinex US customers were allowed to trade, but they could not use the peer to peer system we discussed earlier. Therefore, they were unable to make the most of the leverage offered. We have to emphasize that this applies to individual investors only. If you’re in charge of a corporate account, you will still be able to trade, and new corporate accounts can be created, too. Furthermore, you have nothing to worry about if you’re traveling through the country because only permanent residents will be blocked. So, to reiterate, no matter what you read elsewhere on the Internet, individual (private) Bitfinex US customers permanently residing in that country cannot trade here anymore. Travelers and corporate accounts can continue about their business as normal, though. Got that? Good! Let’s see what else there is to report. Bitfinex support also deserves to be mentioned in this review because the company has invested a lot of effort into it and you can see from a lot of details that you’re dealing with a serious trading partner here. For example, they have a special e-mail dedicated solely to providing media with the information they need. You can also check out the team members or even get a job with Bitfinex exchange, but the main part of customer service is a huge support center. There you can find answers to almost 150 different questions regarding this website or even initiate the account recovery procedure. However, where Bitfinex support really shines are the tickets you can open with a simple click. Through them, you will communicate with a support team member directly and describe your problem. Given the experience and professionalism of these people, we are absolutely positive every problem will be solved as quickly as possible. What is also interesting to note is that Bitfinex support center also features a part where you can resolve any issues concerning your deposit or withdrawal method, which we really appreciate. After all, money management is the most important part of this kind of trading, right? In any case, you can rest assured help will always arrive when you need it. This company is far too big to allow any slip-ups in that respect and will do everything it can to maintain a positive reputation. Even if you’re a US customer, you will have full access to all information here. We have now covered pretty much all major features in this Bitfinex review, but there are still so many neat details on this website that can tell you how careful the company is when it comes to providing world-class service. For example, when you access the website, at the top of the tab of your browser in which the website is open you will see the BTC/USD price in real time. Cool, huh? Apart from that, you will also see that the charts have a lot to offer in terms of analysis. You see, the charts Bitfinex exchange offers are actually TradeView charts, which means you will get the highest quality of visual representation of market conditions. As a matter of fact, the chart depicting the BTC/USD price we mentioned earlier is one of this company’s most popular and important products. To be perfectly honest, we found that trading this way is much simpler and more intuitive, so we’re sure you’ll love the design. Don’t forget to follow news and important announcements from this company, which you can do on several pages on this website. You can even find a link to Bitfinex twitter at the bottom, but maybe a better idea would be to keep track of the company’s blog where all kinds of things are discussed on regular basis. This is perhaps a slightly less formal way of analysing the market, but we certainly don’t mind. Quite the contrary, it’s a welcome refuge from the stress trading can cause. So, as you can see, there are plenty of ways to keep track of everything that’s going on with the company, which means you’ll never have to face any unpleasant surprises. Things like Bitfinex fees, rules and all other instructions are completely transparent, even for US customers. We can’t think of a better way to conclude our analysis than a display of respect these people have for their clients, and a constant stream of information is precisely that. The only thing left for us to do is to give you a condensed version of this Bitfinex review in this last paragraph. In short, this is a very professional and serious cryptocurrency exchange which has recently drastically changed its policy and is now focusing primarily on experienced traders. The same period saw Bitfinex US customers cut off from trading on the website, but this applies to individual accounts only, plus people traveling to this country have nothing to worry about, either. You can find a huge variety of coins to invest in here, but what really sets it apart from other exchanges is its peer to peer system. Through it, you can finance other people’s leverage and earn interest from that kind of investments. Naturally, because of all this, security has to be top-notch, and we are very happy to report that no signs of any scam were observed. Bitfinex exchange is as safe as they come and offers excellent support to all its clients. Naturally, a mobile app is available to make sure you’re always just a few taps away from your investments, plus there is a handy demo explaining everything you need to know about using this platform. In short, if you’re experienced, willing to make a serious commitment to this type of trading and want a large number of investment options, this is absolutely the place for you. Open an account with Bitfinex exchange and you will be trading on one of the most reputable websites of this kind in the world. Good luck and enjoy!